Steve Smith is AWESOME. I've seen him play live a number of times, enjoyed his recordings and DVDs, and been inspired by his playing for years. And, yes, I've stolen quite a few of his ideas, grooves and licks. You should, too! 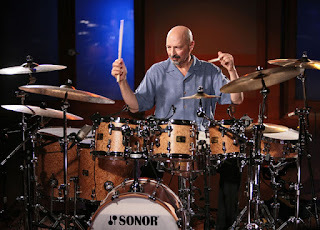 But I didn't truly have an appreciation for who Steve Smith is until I came across his "Drumset Technique and History of the US Beat" DVD set a few years ago. I highly recommend it. His take on technique and practicing is one with which I thoroughly agree. And his setup is the most similar to mine of any top-level drummer I've seen. One of Steve's ideas that really rings true with me has to do with the idea of not forcing a new concept or idea into your playing. He says that you should practice an idea very slowly at first (sound familiar? ), and repeat it every day over as long a period of time as it takes for the idea to, "naturally enter your playing." I've tried this approach, and it's rewarding. It took me a long time (several weeks), but one particularly difficult (but super cool!) lick I'd been working on surprised me at a gig by just flowing out of me during a fill. I'd never used the idea in a live situation before, and didn't try to! It just happened because I'd finally convinced my brain that it was a natural part of who I am as a player. Yep, Steve Smith is awesome. * Do you have an artist, band, song, album, video, website or other resource you'd like to share with the "To Drums" community? Send me an email or list it in the comments below and we'll get it up. I'm pretty open to anything, so let me have it! Here is another lick I, uh, borrowed from the great Jay Lawrence. As always, start slow, count well, and remember that accents are even more effective if the notes around them are played down a bit. 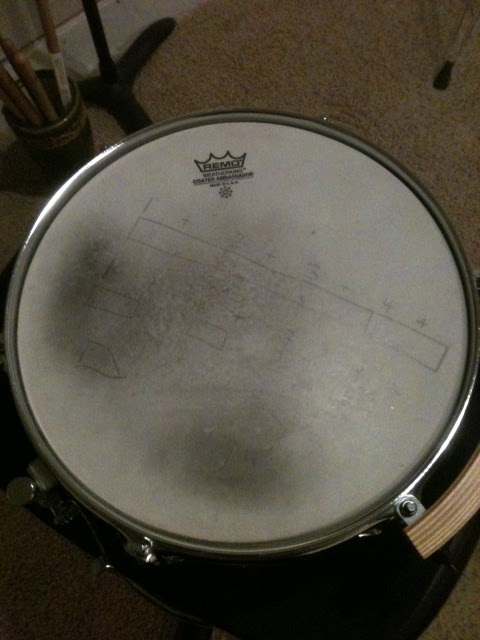 Play the kick drum solidly, and let the tom accents shape the melody (if you will) of the phrase. I also like to imply a crescendo on each group of snare drum notes, starting very softly. One possible variation on this lick lets you crash with the right hand. Super fun. Remember that you can click on each example to view them actual size. Another under-appreciated, misunderstood piece of metal. The triangle is a staple of the concert percussion section, and knowing how to get a good sound is an absolute must for every percussionist. In addition, triangle is used from classical to rock, and everywhere in between. There is a lot of debate as to which size or style of triangle is best, which kind of beaters produce the best tone, and which "leg" or part of the triangle should be played. And don't even get me started about the angle at which the beater should strike the triangle. Three basic techniques should be mastered by the aspiring triangle-ist: single strokes, dampening and rolls. Thankfully, you don't need to reinvent the wheel, so to speak. Click here for an in-depth introduction to triangle by Neil Grover and Garwood Whaley (two names that are worth Googling, by the way), and posted at the Percussive Arts Society* (www.pas.org) website. Enjoy the following video, and listen carefully for the excellent triangle work. One tip I'll offer is the presentation of the triangle while playing. 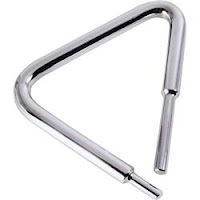 You'll be holding the triangle clamp with your hand in a C-shape, similar to holding a glass of water. As you prepare to play your notes, hold the triangle up high enough that the audience can see it, and you can look at the conductor just to the side of the instrument, or just a little above. 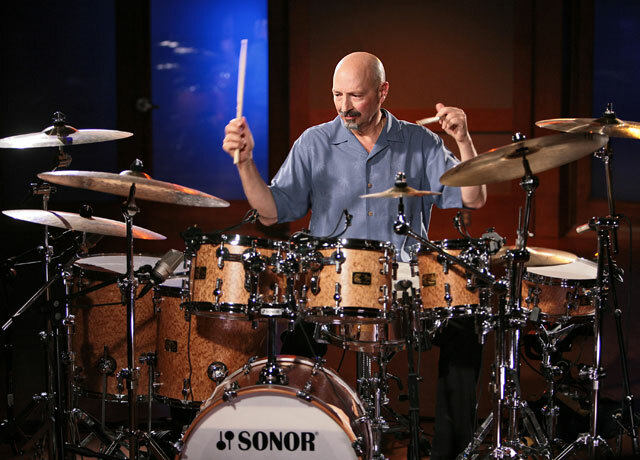 Your playing will be more precise, and the audience will "hear" your notes better and clearer if they can see the instrument and the playing motion. Playing triangle is a lot of fun, and can add immensely to the effect of the music. *If you're even a little bit serious about drumming and/or percussion, you should seriously consider joining PAS. A student membership is very inexpensive, and the benefits are amazing and lifelong. Peter Erskine and DRUM! Magazine combine to create a very simple explanation and set of exercises for two basic polyrhythms: 3 over 2, and 4 over 3. A polyrhythm is a figure where two (poly - many) figures that oppose each other - like eighth note triplets and straight triplets - happen at the same time. They are superimposed on one another, musically. The 3 over 2 feel is one that I like to use a lot. It seems to flow easily in any type of linear groove setting, and can be used in jazz swing (playing straight eighths over a swing feel). Lots of fun. Check it out, and happy drumming! Christmas is over, but I've still got another gift up my sleeve. 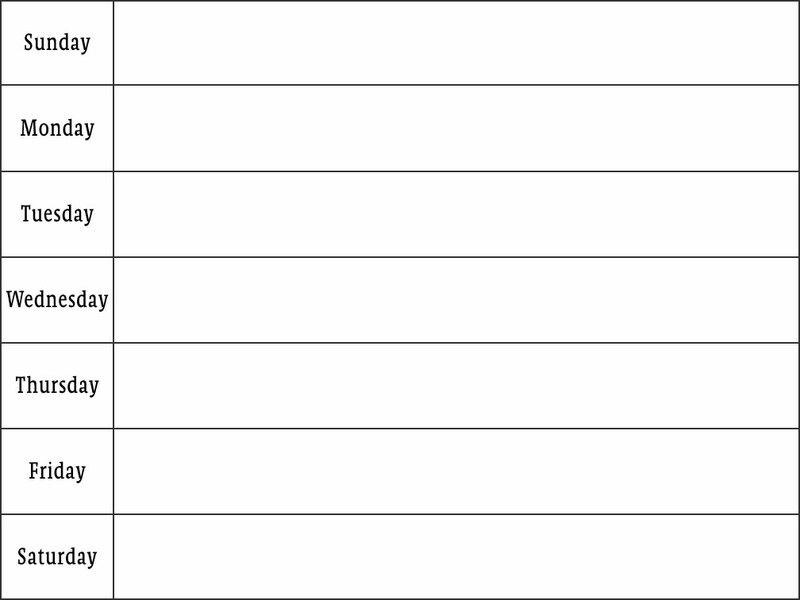 One of you is going to get your choice of gifts from me. Read the details here. This gift is one way for me to say thank you to all of you who read my blog, even if today is your first visit. I sincerely appreciate everyone who visits the blog, offers feedback and comments, and those who have helped me to come up with great ideas and innovations to make this blog useful and worthwhile. So, please help to share the drumming and percussion love by joining this site (button on top of the left column) and "Like" the Facebook page. As soon as we get 25 members of the blog and 100 Facebook "Likes," somebody wins! Thanks again, and happy drumming! What a great time of year to celebrate all that is good in our lives. I sincerely hope that your holiday season is filled with family, great friends, relaxation, and of course, great music making! I also hope that you scored some great gear to enhance your music-making. I know I sure did! Along with a small stack of iTunes gift cards (yes! ), I scored a Remo Ashiko, Jay Lawrence's new book, "The Drummer's Workbook," some new sticks (Pro-Mark Oak 5As, wood tip), and some awesome new big-band recordings. Merry Christmas to me! What was your best music gift this year? Let us know in the comments below. I'm happy today to feature a friend and colleague of mine, a fellow Utah State Aggie percussionist. Well, at least that's where I met him. I credit him with many of my best and most creative memories from my music experience at USU. When I first met and worked with Casey Cangelosi, I knew there would come a time when I'd be able to use the old cliche, "I knew him back when..."
Well, it didn't take very long. Click on Casey's name, above, and prepare to meet part of the future of percussion performance and composition. Then do yourself the favor of stopping by YouTube and typing in Casey Cangelosi. Just be prepared to blow off the rest of your schedule for a while. As I always say, I'm not even going to attempt to tell Casey's story, just give you a taste and let you explore for yourself. I will say this, though: every time I see a college student preparing for a senior recital or final jury, I always see a Cangelosi composition (or two, or three) in the mix. What red-blooded drummer doesn't respect Carter Beauford of the Dave Matthews Band? Okay, I know that there are some of you out there, but you're crazy! Even if you don't like his style or DMB, you've got to respect the trails he's blazed in pop drumming. Anyway, here's a very simple lick that I steal all the time. It's from the tune, "What Would You Say," on the album, "Under the Table and Dreaming." This lick occurs at about the 3:07 mark. Okay, after you listen to it, here is one major thing to notice: the bass drum note just before count 4 should be played as a part of the snare drum pattern. If you connect the three notes on the snare (starting on 3), the kick note, then the snare/splash on 4, it's a five note pattern and should be played as such. Practice getting it smooth and easy. This fill leaves a nice bit of space between count 4 and the next count 1, a tactic that Carter occasionally uses to signify the beginning of a new phrase. And as I always say, space is just as important as sound if you want to be a good communicator. I once got offered a college scholarship based solely on how I played a suspended cymbal roll. True story. I was a senior in high school and it was the only part I played at one of those senior invitational bands. The only thing I can remember is that I was annoyed that all the other percussionists were playing back and timid, so when I got my chance I let it rip. The Graduate Assistant that was working with us pulled me aside at that rehearsal and asked if I might like to attend there on scholarship. It was sort of odd at the time, but at this point I've coached enough percussionists to know that I probably would have offered me a scholarship, too. Not that I'm all that amazing, but suspended cymbal rolls are a big deal. They're a make or break moment in many pieces of music. So, what is a suspended cymbal? (Just for fun, type, "suspended cymbal technique" into a search engine.) It is one cymbal hung by a strap or mounted on a cymbal stand. It is generally played in an orchestral or concert band setting, and is usually played with soft mallets. 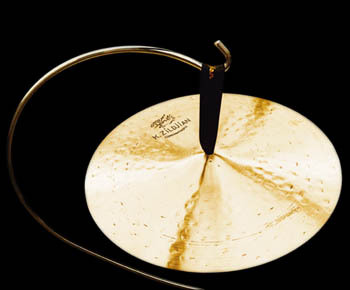 A suspended cymbal roll is produced by playing fast single strokes on the cymbal to create as smooth a sound as possible. 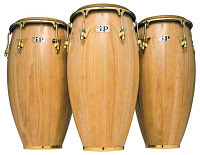 It might be the easiest percussion instrument with which to create a perfectly smooth crescendo, diminuendo or sustain. Soft yarn mallets are usually used, but I've seen good percussionists get amazing rolls with cord wraps and snare drum sticks, too. For some very detailed information on technique and maintenance of suspended cymbal, click here. Happy rolling, pinging, swishing, scraping and crashing! The following post is not meant to take the place of professional medical advice. Consult your doctor for recommendations and advice before you make any changes in your health routine or begin an exercise or diet regimen. And when I say diet, I simply mean what you take into your body as food and drink. Be smart and get professional medical advice before you make a major change in your lifestyle. Apparently it's "Preach about physical health" week around here. 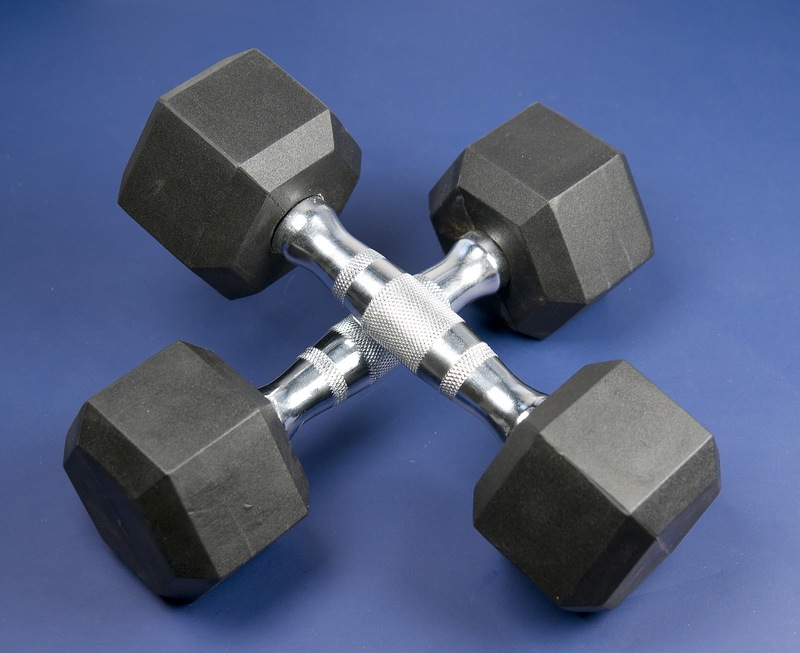 Maybe it's the dreaded holiday gain, but I'm thinking about my health - and yours - this week. One often overlooked aspect of being a great musician is overall physical health (along with emotional, spiritual, social, etc.). Think about the last time you saw a career-long, successful musician up close. It probably wasn't pretty. Musicians are not exactly known for, uh, healthy living, as it were. So, I know we've all been through junior high health (most of us, anyway), but let's have a quick review. Get enough sleep. More and more research indicates that the standard 8 hours per night recommendation may not actually be adequate for teenagers. If you're in high school, you may need 9 or more hours to function properly and perform at your peak in school and elsewhere. For the rest of us, we must be aware of when we're burning the candle at both ends. Turn off the phone, the computer, iPad, TV, and whatever the heck else is keeping you up at night (seriously - you DON'T have to be the last one to text) and rest yourself. Every night. This one thing may make more difference than anything else, and ignoring it may have very serious consequences. Exercise daily. Again, research (sorry to keep using the "R" word, but - well, you know) indicates that just walking for 30 minutes daily (serious walking, I'm not talking about shopping at the mall here) for at least 10 continuous minutes at a time can pay huge dividends in your overall health. You don't have to be a professional athlete, but get out and DO SOMETHING. Fuel your body. When I say "fuel," I mean it. I'm not going to get too crazy about it, but I get very worried about the future when I see how much crap we eat and drink these days. Do you really think an energy drink and a pop-tart is going to do it? Eventually, all that synthetic excuse for food will catch up with us. Eat real food that has real value. The less processed the better, and the closer to the ground you can get it, the better. And if mom or dad cooked it, it has a bazillion times more health value than if you picked it up at the drive-thru or the gas station. And remember that, even if it's good stuff, too much is still too much. Drink water, lots of it. This is the toughest one for me, but it's one of the most crucial. Water is the basic ingredient in our body, and it's the catalyst for every single function in our body. If we don't get enough of it, systems start to malfunction and eventually shut down. And I know I'm being Captain Obvious here, but alcohol, soda, energy drinks, coffee and even fruit juices don't take water's place. 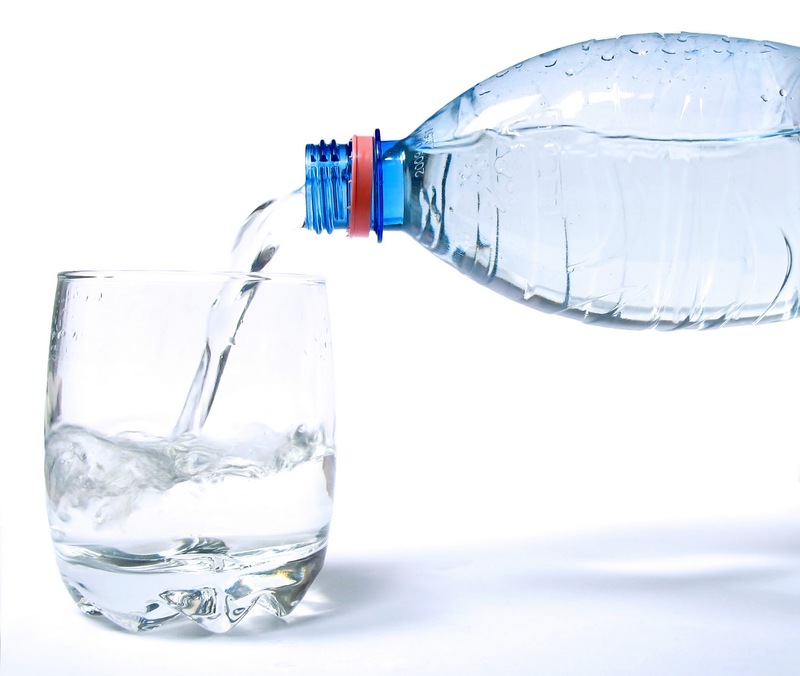 Experts recommend 8 glasses per day - that's 64 oz. or half a gallon - at a minimum, just to maintain health. Get some sun. Again, I'm not talking hours of sun-bathing or being irresponsible here. Too much sun can cause serious skin damage and lead to cancer. But 15-20 minutes a day of direct sunlight can be healthy for you. The sun helps your body absorb vitamin D and helps to balance mood and body functions. It also keeps your circadian rhythm in line. Especially in winter time, get out and get in the sun for a few minutes a day. I'm not a doctor. But I do believe that all of our body's systems are linked. You may think that being healthy is primarily about how your clothes fit or how you look, but it's much, much more than that. When you feel bad (which may come upon you gradually, so you may not even notice that it's happening), it affects everything you do. And that includes music. It may not be just your bad practice habits that are keeping you from succeeding - it may be your lack of sleep, diet and sedentary habits that are getting in the way of you being a double kick pedal wizard. If your health isn't what it could be, do something about it. And if you're in great shape (lucky dog, you! ), do what it takes to maintain it. We can all do a little better with how we take care of our bodies. And the positive benefits will play out not only in our music making, but in school and work, relationships and hobbies, as well. Happy - and healthy - drumming! 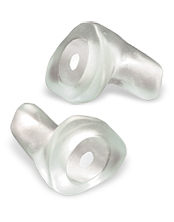 Gear Up: Protect your hearing! There are a few things that amaze me in the modern world. For example, smoking. With all of the research available, why in the world would anybody choose to smoke?! And yet people do, all over the world. The tobacco industry makes billions of dollars off of humankind's stupidity every year. Another thing that amazes me is a drummer who won't protect their hearing. And, trust me, I've heard - and used - all of the excuses. 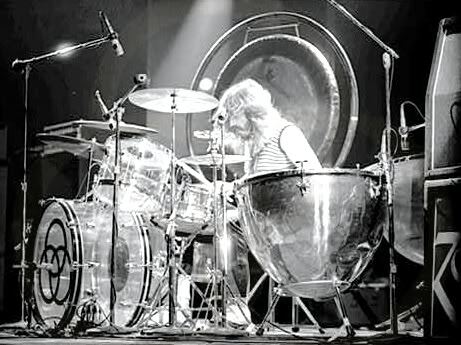 But the facts are plain and simple: loud sound, especially sustained and repetitive (can you say cymbals?) can quickly, seriously and permanently damage your hearing. I'm writing this post for myself just as much as anybody else, but I sincerely hope you will take the necessary stops to prevent hearing loss (or further hearing loss) and tinnitus - the high-pitched ringing in your ears. Let's take a quick second to talk about tinnitus (tin-eye-tuss). Have your ears ever started ringing after a loud noise or something like a rock concert? Imagine that noise never going away, getting worse, and getting louder. Some of my musician friends (who didn't do enough to protect their hearing) call it, "the chorus of hell." I've got a little tinnitus myself because I didn't start protecting my hearing soon or consistently enough, and it's a bad, bad deal. Worse, it's irreversible. There is nothing that any doctor or medication can do to fix it. Your hearing is truly a once-and-done proposition. Abuse it and ruin it, and it's gone. Try watching TV for an hour with no sound. Or go to a restaurant with friends with earplugs in. Again, it's a bad, bad deal. So, let's take a quick look at some things you can do to protect yourself and still fully enjoy music and drumming. The people at Etymotic Research are awesome! I've never met any of them, but they have a wide range of products that are far superior to foam ear plugs. Their goal is to make plugs that evenly reduce all frequencies. Simply put, everything sounds the same, just softer. A couple of downsides are the cost (mine were about $140), and the time it takes to get them. I had to go to an audiologist and have molds made of my ear canal (read: the Dr. pours goop into your ears). Similarly, in-ear monitors are essentially earplugs with tiny speakers in them, sort of like hearing aids. They aim to block out all of the natural sound and "feed" your ears only what comes through the speakers. This allows the user to drastically reduce the amount of sound the ears are exposed to while practicing and performing. Again, in-ears are costly, but they are saving musicians' ears everywhere. Compared to the traditional setup of having open monitor speakers on-stage (which are often almost as loud as the main or "house" speakers) which have to compete with all of the natural sound on stage (like a drummer), having in-ears is truly a no-brainer. 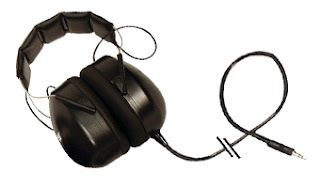 A more affordable method, especially practical for drummers, is isolation headphones. It's the same idea as earplugs and in-ears in terms of blocking out (reducing) the natural sound to which the ears are exposed. And you can get them with speakers or without. This, of course, affects the price. I've got a set of Koss isolation headphones that I use all the time. They're great for practice sessions, especially for metronome work and playing along with tracks. Really and truly, I don't care which of these methods you use - even if you use 99 cent foam plugs - USE SOMETHING!! Protect your hearing. No matter how old or young you are, whether you have serious damage or no damage - start protecting your hearing now. And do it consistently. Happy - and safe - drumming!! I'm STILL giving some cool stuff away! Just a friendly reminder that I want to give somebody $50 dollars in iTunes or Backbeats gift cards, or four free lessons ($100 value). Click here for the details. Today I'll be in beautiful Boise, ID. Hopefully my Aggies will get it done against Ohio in the Famous Idaho Potato Bowl. Time for a true confession: this is the first full Mindy tune I had ever listened to up to that point. I've known about her for almost a decade, had endless mentions and recommendations from friends, and even had a chance to meet Mindy at Soundcheck Series events, but never actually listened to a full song. So watching this video was something of a revelation. I took it in about three times before I started clicking on other videos, and before I knew it, the evening was gone. The evening was a fair exchange for having my eyes opened to a talent like Mindy's. Her voice is golden, her songwriting ingenious, and the performance and production are very well matched. Beyond those things, I simply find myself smiling and having FUN when I'm listening to and watching Mindy's videos. Seriously! Don't you love it? On a music geek note, did you notice the changing time signatures? So much fun. As I always say, I'm not trying in any way to give you a complete picture of Mindy Gledhill and her work, but simply to provide a jumping-off place. Alright, one more. I just can't resist. Enjoy, and happy drumming! This is a simple, sweet little fill from the 1986 Howard Jones tune, "No One Is To Blame." This fill occurs at the 1:40 mark of the video. Really play down the diddles on the snare drum. They're almost ghost notes on the recording. 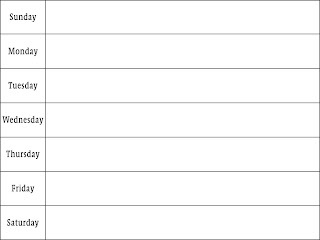 One caveat is that, while it's very good, standard notation can't capture every nuance of a musical idea or phrase. Like many others, I believe that the real music happens beyond the black and white of the printed music. So listen carefully, practice the printed transcription, and then experiment with your interpretation. And if you find a better way to write it, let me know! I'm giving stuff away - really. I put up my 60th post! Not that this number is huge or earth shattering, but that's like writing a post every day for two months, and I'm pretty happy about it. We reached (and exceeded) the 1000 page views mark. Woohoo! Thanks for visiting and being part of the conversation. So, here's my offer. I need you to do two things for me. "Join" or follow this site. The button is on the top left hand side of the page. As soon as we have a total 25 people join the blog and 100 Facebook "Likes," each follower and liker will be entered into a drawing for one of the prizes below. This includes all of you who have already joined and liked the blog. Four (4) free drum lessons with me - $100 value. $50 Gift Certificate at Backbeats Drum and Backline. As an extra little perk, if you do both (join and like), you will be entered in the drawing twice. I have to admit that I'm much more comfortable playing music if I have sticks or mallets in hand. 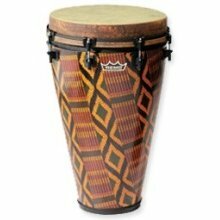 Hand drums are something I've never delved into very much*, but they are a pillar of the percussion world. 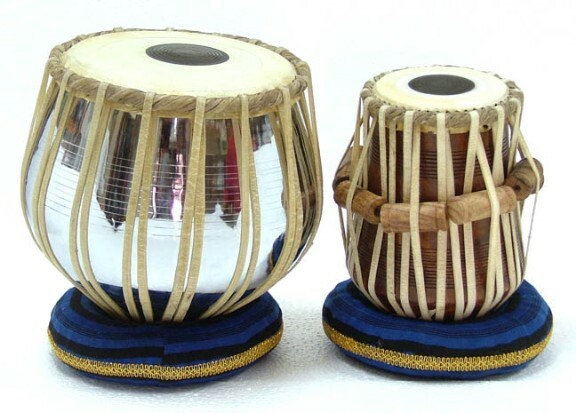 In fact, hand drums are probably the earliest musical instrument known to man - aside from the human voice. Hand drums are indigenous to every culture and ethnicity on the planet, and they are well worth a decent amount of study and practice. 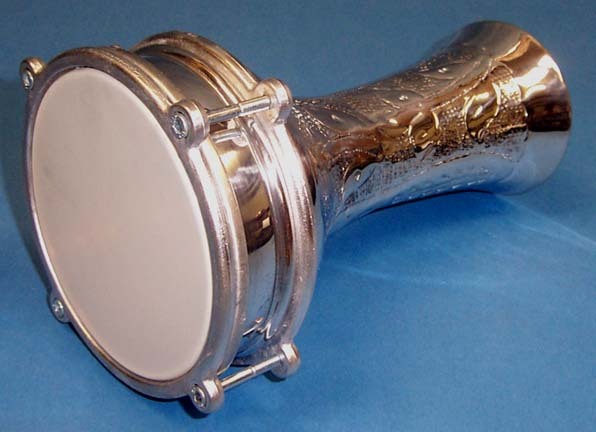 Many hand drums are available in a traditional format (such as rope-tuned) or with modern technology (such as key-tuned). 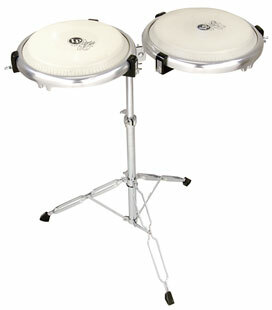 One notable adaptation is LP's (Latin Percussion) "Compact Conga" that is stand-mounted, and playable with hands or sticks. 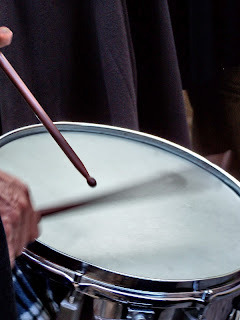 As with other topics, there is no way I can give even the most cursory introduction to hand drumming in just one post, so hopefully this will just be a jumping off point for you. 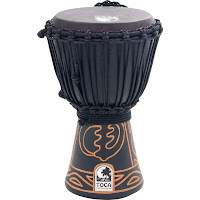 Try Google searching any of the drums above or just "hand drums," and you'll find a wealth of information - including where to find them and how to start playing. For now, I'll let one some my favorite musicians give you a quick introduction. *That being said, I just bought an Ashiko drum off a local classified ad. For $30 plus the cost of a new head (and some elbow grease), I've got a drum that's worth somewhere north of $150. Nice! That title sounds pretty amazing, right? "Triple Stick Control!" What I mean is that we're applying the "Slow-Fast" stick control exercise to triple subdivision - triplets (slow) and sextuplets (fast). As with the first version of Slow-Fast, the exercise should be repeated for a full minute at any given tempo to demonstrate mastery. So, click on the metronome at a very slow tempo - 50 to 60 beats per minute - and master the exercise with an alternate sticking, either R L R L R L or L R L R L R.
Once you've got it mastered, that's where the fun begins! Try some of these patterns, then make up your own. There are endless possibilities, so have fun with it. Disclaimer: The reader assumes all responsibility for damage to any instruments, equipment or other gear as a result of following the process described in this post. Please proceed at your own risk. I attribute this little gem to Kelly Wallis of Backbeats Drumshop in Salt Lake City, UT. He taught me not to be afraid of a little Windex. 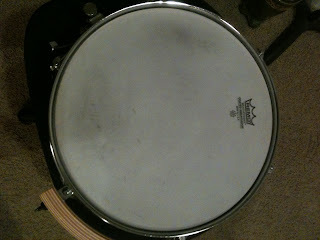 This is a drumhead (Remo Coated Ambassador, 12") that was new in 2003. That makes it going on nine years old. It's been through countless gigs and sessions, and it's getting pretty worn. I'm not one to nick up and ding my heads, so the major signs of wear are just the accumulation of dirt and stick grime, as well as the smoothing out of the coating. I'm not using actual Windex, but a foaming spray. 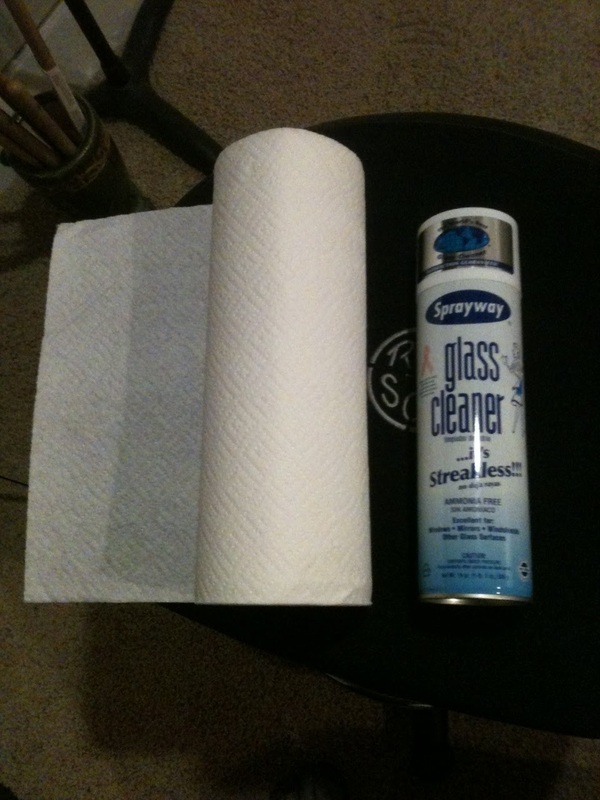 It's still just a generic glass cleaner. 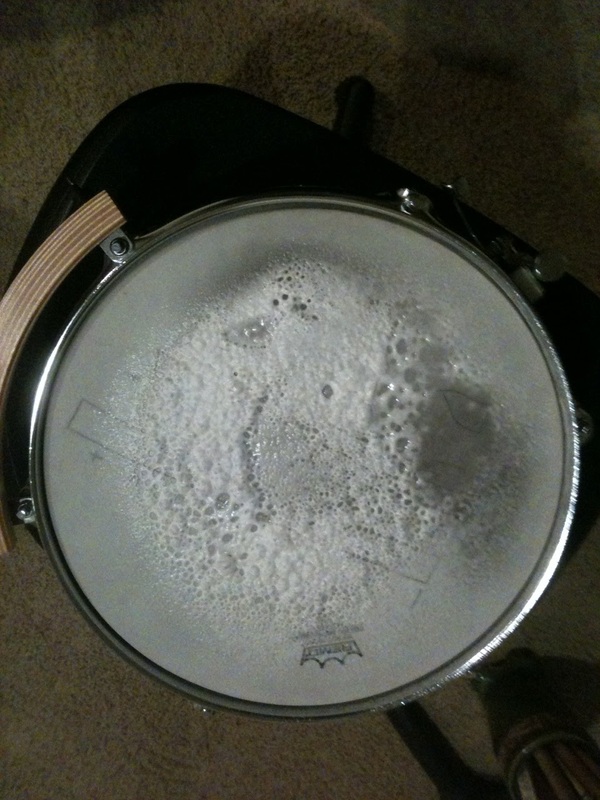 Paper towels work just fine on a drumhead. This drum is in my teaching studio so I decided to put off getting a new head. As you can see in the photo*, I actually drew on the head with a pencil during one of my lessons. I probably got a little overboard, but I foamed the head up really good. As you do this, be VERY careful not to let the liquid get inside the drum, or onto any of the wood or sensitive metal parts that could get damaged or develop rust. While cleaning this head, I actually did get some of the spray where I didn't want it, so I had to spend a little extra time wiping and blowing out the excess liquid. I did spray and wipe the drumhead twice, and the final picture is of the finished product. All in all, I probably spent less than five minutes, so you could feasibly refresh a five piece drum kit in about half an hour. 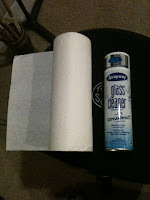 Additionally, this is the same spray I use on the wrap finishes on my drums whenever I change a head. If you will take the time to regularly (even a few times per year), clean up the finish on your drums, they'll look nicer longer, increasing your image on stage, as well as the resale value of the drums. *Seriously, one day I'll have a great camera (these were shot with my iPhone 3GS) and use some better lights and backgrounds. Hopefully the picture quality is good enough for you to understand what I did to this drum. The NEW* New Lokalgrown Promo Video! Lokalgrown is a band that started out at Utah State University in 2001. We shorten the name to LKG, although there have been many (ahem), shall we say interesting variations and pronunciations of the name. We've been through many versions of the band and had the privilege of playing with a long list of fabulous musicians. Currently, we play a few public shows - always a blast! - but mostly entertain small, private audiences at various corporate, community and other professional functions. Overall, we're busier than ever and happy about it! Nate (Davis) and Quinn (Dietlein) have put together a fun, interactive, creative and very funny show centered around great music from a wide variety of styles, eras and settings. It's a privilege to be a part of the LKG family, and to continue to perform at a high level. So, on to the video. *This is the latest version of the "new" promo video. There have been at least three, and there may be more to come. Each version has added new footage or text, improved sound, or corrected minor errors. I'm going out on a major public image limb here, but I gotta do it. 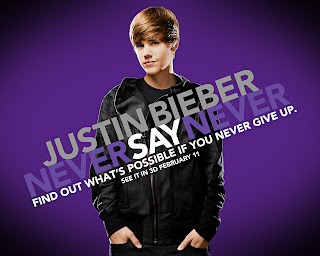 Up until October of this year (2011), I didn't know much about Justin Bieber beyond his name. I knew that he was what my generation calls a, "teenie bopper," that young girls screamed about him, and he had floppy hair. That's it. The sum total of my JB knowledge. And honestly, I didn't care to know more. We've all seen these flash-in-the-pan acts. There are loads of them. I expected Justin Bieber to be the same. I expected that in another six months, he'd have had his fifteen minutes and would be gone. In October, I went on a three day company retreat. Let me set the scene. I work for an AWESOME, but fairly new, non-profit organization. It has multiple facets and is a little bit complicated in terms of operation. The retreat was to be an intense, serious work session. The attendees (of which I was the youngest at 33) were the CEO and his wife, the CFO, the facilitator, the marketing guru - all of these people have been in the business world for decades - along with the president of a record label, another unit head, and me. The second night we were there, after two days of grueling work, the facilitator announced that we were going to watch, "Justin Bieber: Never Say Never" that night, as a group. Required viewing, no less. I absolutely could not believe it. I kept waiting for him to say, "Just kidding. We're not watching that." But he was serious. To add to my shock, the record label president said, "Oh, I've seen this. You're going to love it. Amazing film." What in the world was going on?! I have a ton of respect for the people who were at the retreat, so I popped a Diet Coke, kicked back and watched the movie. It changed my mind, to say the least. Let's pause for just a second, shall we? I just want to be clear that I'm not a "Belieber," a fanatic, or even a real fan. But I gained a healthy respect for the Bieber team, Justin himself, and for the process that he went through to gain his success. The kid has worked his tail off, and his story is nothing short of phenomenal. I loved the film. I've recommended it to pretty much everybody, and even made my wife watch it. In fact, I've almost purchased it about a dozen times. And, kiddos, I'm a professional musician. My reputation is a real part of my life, and I try to look after it pretty assiduously. Among other things, "Never Say Never" gives a real look at what a touring act goes through on a day to day basis, at what kind of work it takes to be successful, and at what a young person goes through when they accept a life of touring, recording and entertaining. As his vocal coach says at one point in the film, "You gave up normal." As documentaries go, it's a home run. Grand slam, even. And I've seen a lot of documentaries. And, no, you don't have to go crazy over Justin Bieber to appreciate his career and his path to stardom. I won't play spoiler and get into it here, but if you have any interest in the business side of the music world, you absolutely need to watch this film. So, if I've lost your respect and you've seen this film, I can live with that. But if you're freaking out right now and you haven't seen the film, give it a solid look and then we'll talk. I'll tell you this, too - the drummer in Bieber's stage band is a lot of fun. You don't get too many looks at him, but he's got crazy energy and some great ideas. Oh, and speaking of drums: if you LOVE drummers and drumming but HATE Justin Bieber....uh, maybe you shouldn't watch this film. Just sayin'. Again, I'm not crazy about Justin Bieber, but I do believe that he's the real thing, that he's put in a lot of hard work, and that his story is maybe the first of a whole new generation of stars - a story that will become common. Someday we'll look back and the whole Bieber thing will be very normal. For now, I can respect what he's done for himself. Even if I don't know any of the songs by heart and probably won't ever buy a ticket to a show. There are plenty of twelve-year-old girls for that. *There was a large-ish ceramic bear on top of one of the speakers that fell to the ground and shattered because of how loud and rockin' the movie was. It is now affectionately known as "The Bieber Bear." As I mentioned in my last post, I had the privilege of playing in the percussion section for the American Festival Chorus and Orchestra Christmas concerts last weekend, December 2 and 3. 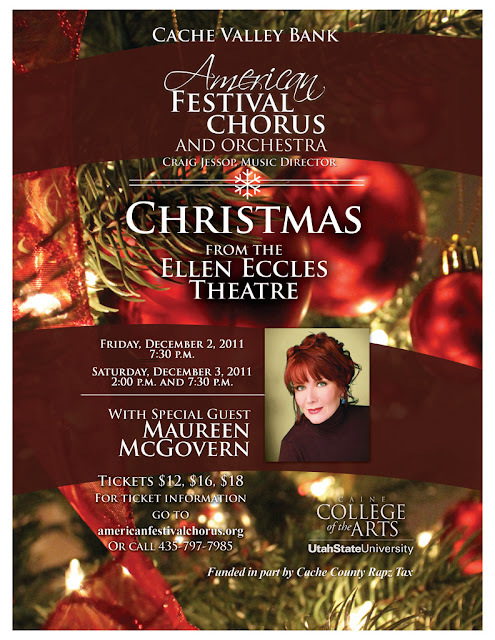 Guest artist Maureen McGovern absolutely lit up the stage. There were three total performances - one Friday and two Saturday - and all were sold out. Lots of fun. Can't wait for the next one. 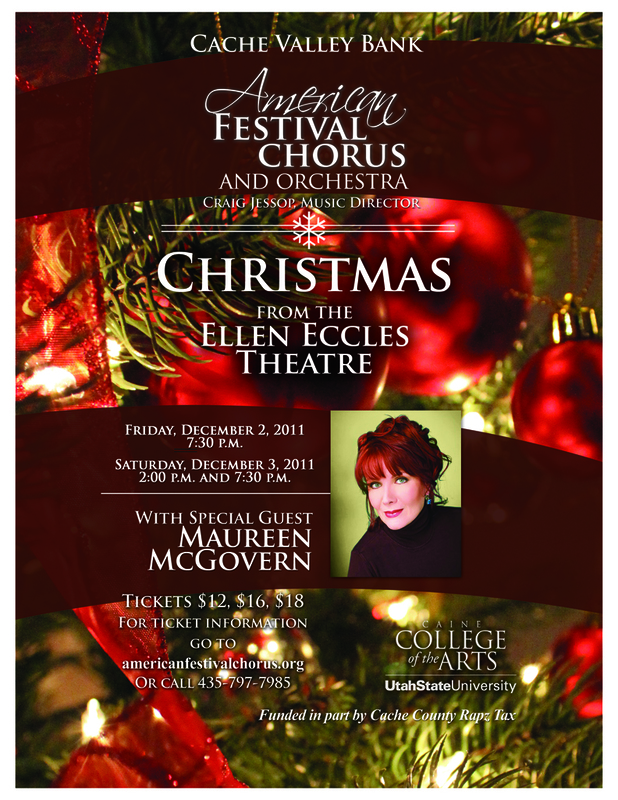 Played the first of three concerts tonight with the American Festival Chorus and Orchestra with special guest Maureen McGovern. I have to say that I was blown away. Maureen performed with grace and passion, and the Chorus and Orchestra were as powerful and versatile as ever. This video is a compilation of clips from her career, and it gives you an idea of some of the things we did tonight. Such a lot of fun! Timpani are, in my opinion, the heavyweights of the percussion section. With the power of drums, but also pitch, they are known in the orchestra as the "second conductor." They've also been used in many other settings, including in the rock band Led Zeppelin, by one of the most famous drummers of all time, John Bonham. 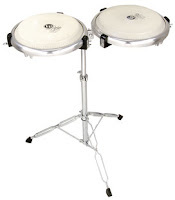 My first real experience with timps came when I was a senior in high school and made the All-State Band. I was the only percussionist to show up with a tuner, so I was "elected" the timpanist. It was an adventure, to say the least. When I got to college I began to learn how amazing and fun playing timpani can be. We spent a long time learning proper strokes, dampening and getting great tone, as well as learning to tune the drums by ear. Along with ear training and sight singing classes, my private percussion lessons helped me to be able to "hear" the pitches in my head and get the drums in tune with the ensemble - usually the band. For two of my years at college I was the timpanist for the Symphony Orchestra. It was challenging and very enjoyable. I learned to be connected with the conductor in a new way, and also learned to listen and align with other sections of the ensemble. In short, playing timpani made me a much better, more mature musician. These days I take the opportunity to play timpani any time I can get it! 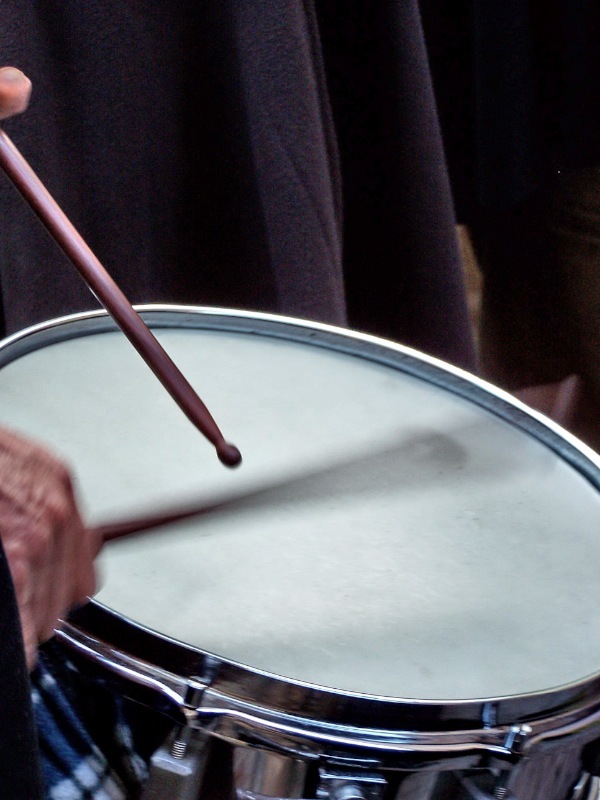 Along with a rapidly growing collection of solo timpani literature, orchestral timpani is a high profile and very prestigious position for any percussionist. In most professional groups, the timpanist -while a part of the percussion section - usually plays only timpani. No snare drum, mallets or auxiliary parts. A few tools are required to be a timpanist. I recommend at least three pairs of timpani mallets - soft, medium and hard. A tuning fork and a digital tuner are also not a bad idea. Most of all, get some lessons with somebody who knows a great deal about timpani and can teach you fundamentals. 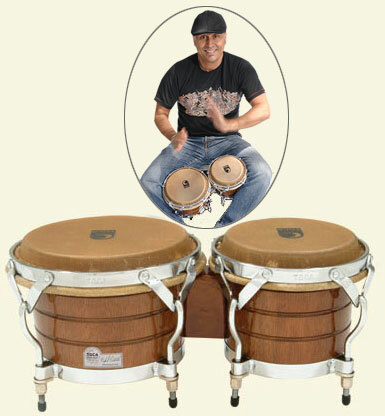 Be a complete percussionist-musician. Learn how to play timpani well.